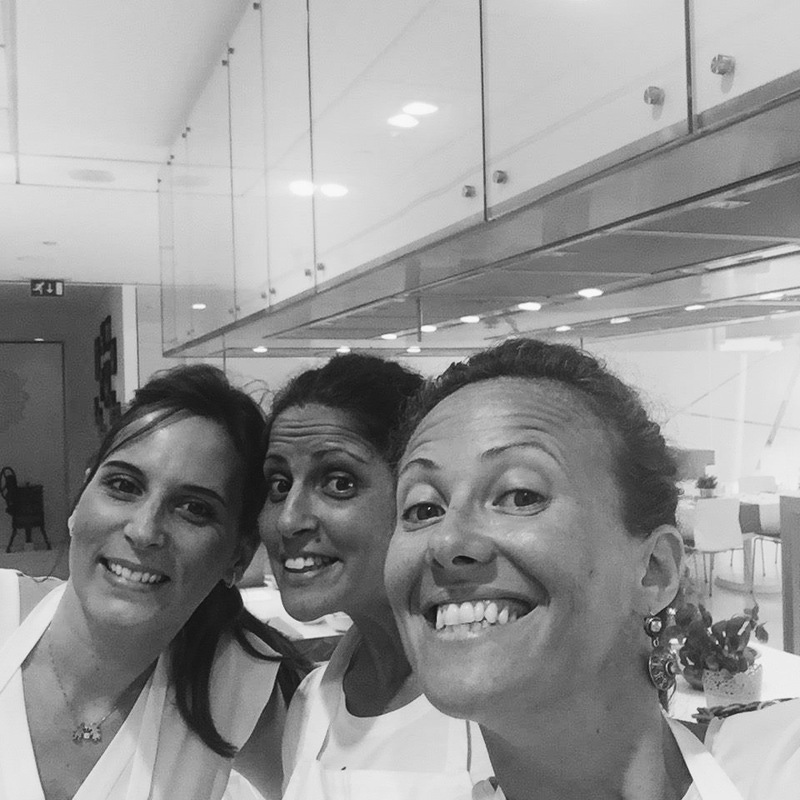 In celebration of this year’s International Women’s Day, and in recognition of the incredible achievements and contributions women have offered to our communities and society in general, today we profile Cooking@home, run by Francesca, an incredibly dynamic and cheerful Italian resident of Dubai, along with her partners, Cristina and Maria. Cooking@home, a 100% woman-owned business that offers cooking classes to residents of Dubai in the culinary delights of Italy was founded in 2012 when Francesca and Cristina decided to combine their passions, expertise, and love of traditional Italian food and share that passion in the form of cooking classes to the public. Beyond cooking, the classes offer an opportunity to learn about Italian culture first-hand without boarding a flight to Rome. The Cooking@home team further expanded when Maria joined the family, essentially covering specialty cuisine from all over the Italian peninsula. We asked Francesca a few questions to get not only a better understanding of her business, but also what it’s like to be a woman business-owner in the UAE. How long have you been in Dubai for? Where were you before? Cristina and I moved to Dubai six years ago – for both of us, it was the first time we’ve lived somewhere other than Italy. Maria arrived to Dubai around one year ago, before spending some time in London. Why did you decide to start Cooking@home? We all love to cook and wanted to share with others our passion for Italian cuisine and culture. Italian food is very popular abroad and we thought it would be a good idea to teach our family’s recipes to Italian food lovers. Were your friends and family supporting when you decided to start Cooking@home? Our husbands are our biggest fans and have been incredible supportive. They supported and believed in us from the beginning and highly admire our passion for food, our expertise in cooking, and our knowledge of Italian culinary culture. There are obvious challenges to owning and running a business in the country. What was your challenge? Personally, my biggest challenge was to start a completely new field of work in a completely different country, which speaks a completely different language, and follows a completely different culture. In Italy, I was an event manager but at home, so I know how to handle the local culture expertly. I think the best and worst decision I’ve ever made in the same time was to leave everything - family, friends, job, country - for a new experience. It was exciting and scary at the same time. On the other hand, I pursued the possibility of trying something new and a new beginning. In fact, what I am currently doing is my childhood dream. I’ve always wanted to cook Italian food and teach something about my (Italian) culture and country. As long as I’m abroad, I will continue to do – and continue to love - what I am doing now. Definitely my grandmother. I have learned from her all what I know now. She was an excellent cook and she loved to cook for the entire family every Sunday. I will never forget the enticing smell of food lingering in the kitchen for hours with the family gathered in a seemingly endless and laughter-filled dinner. Lastly, do you have any advice for women who are thinking about pursuing their own businesses? It may be obvious but they must be determined and believe deeply in what they do. Francesca and her team offer private, group, team building, and corporate classes in addition to a ‘chef@home’ service. All classes are bespoke and tailored to specific client requirements. Interested? Book a class with Cooking@home today. And of course, everyone out there, happy International Women’s Day!